Prepare a detailed plan to provide accessible paths, upgrade the picnic and BBQ areas and separate the cyclist corridors. Create new dedicated bike path connecting Morell Bridge to Southbank Boulevard. This will include repurposing some car parks along Alexandra Avenue. 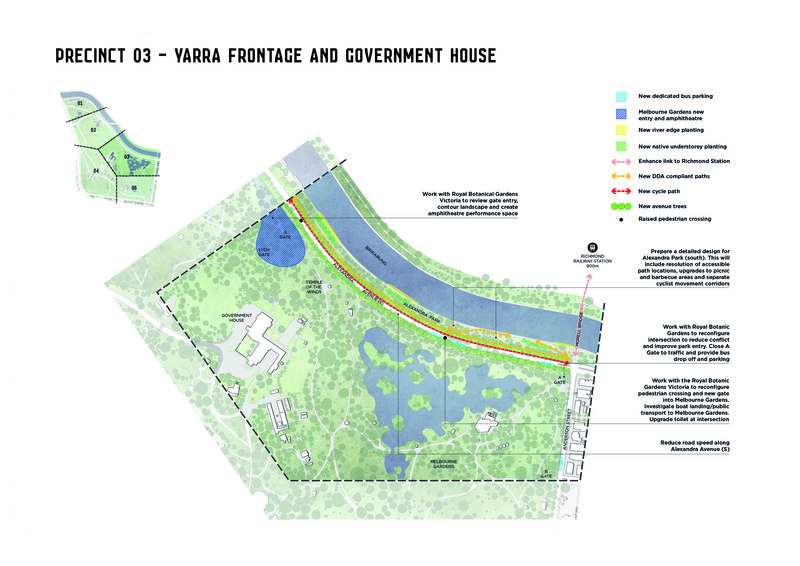 Work with the Royal Botanic Gardens Victoria to improve entries, manage bus and drop off parking, and provide links to proposed river gate entry. Create a new river landing entry. Reduce traffic speed along Alexandra Avenue.